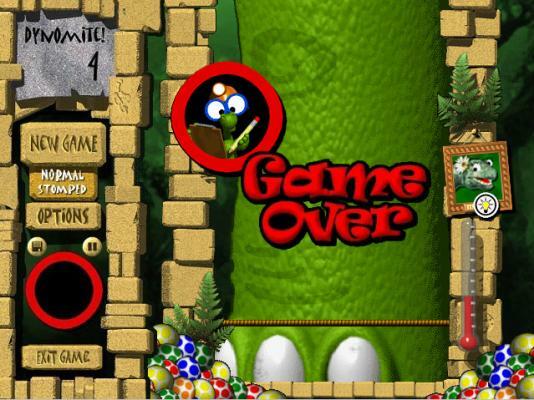 Play the dinosaur Dynomite game on line in multi-player contests. 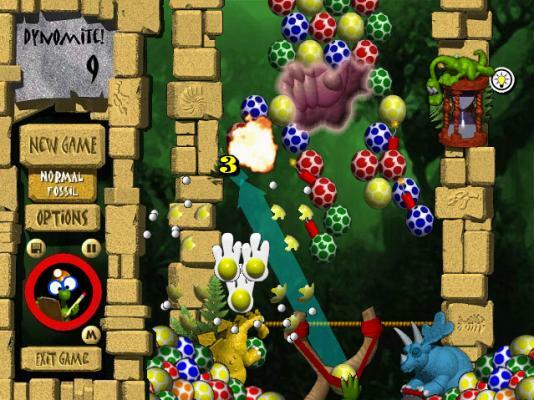 Clear the puzzle by launching eggs from your slingshot to detonate groups of three or more like-colored eggs. 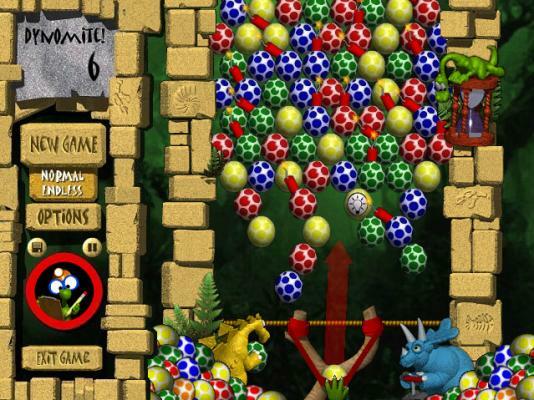 Complete the game by removing multiple rows of eggs within 5 minutes. If you shoot an egg below the warning line, another row will add to your total, so choose your shots carefully! Use your mouse to aim and left-click to fire eggs. When you break a cluster, those eggs that are left unsupported underneath (hanging eggs) also break, adding valuable points to your score. Watch out for black eggs - they cannot be matched, so find a way to drop them! Begin the game with a bonus point total of 30,000 points. For each move, your bonus diminishes by 60 points - remember that eggs added by the player do not count for points, so don't waste time building your own combos. Dropped eggs (eggs left hanging below an exploded group) count for 150 points each.